Afraid to upgrade because of losing iPhotos? 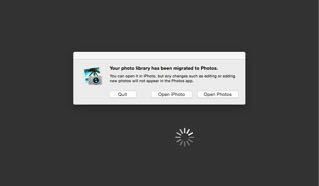 I've read about the latest upgrade to Mac OS X and I'm worried about my photos. I can't risk losing them. I also read that Apple is going to charge me for storing them! NOTHING HAPPENS TO YOUR PHOTOS. The new Photos uses the same raw files. It doesn't copy or convert; it just shows them to you differently and offers new editing and sharing capabilities. Read the gory details at Photos for OS X FAQ: What you need to know!. As to charging you for storing them, that's up to you. You don't have to store anything on Apple's servers if you don't want to. 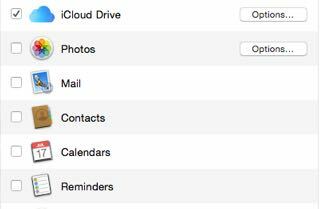 See Manage your iCloud storage. However, if you do want to take advantage of the convenience and safety that iCloud offers, it doesn't necessarily cost all that much. 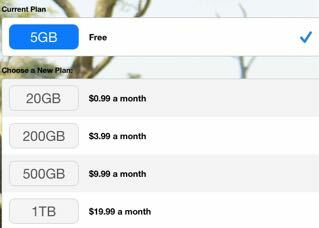 I have 15GB of pictures and less than 3GB of everything else - I could use iCloud for 99 cents a month if I wanted to. In fact, I decided to do that. It's cheap enough and now my photos are everywhere I might need them almost instantly. You really shouldn't put off this upgrade because of iPhotos!